During the past few weeks we have stepped up the preparations for the new baby. My Mother-in-law threw a great baby shower and many family and friends have helped us out. In the spirit of preparation we have also taken taken several childbirth classes from the local hospital. Between these classes and all of the programs we have watched on TLC and Discovery Health, I think barring a two headed child, I am ready for anything. The one thing I've drawn from this whole process is that you have have to inject a little bit of humor. 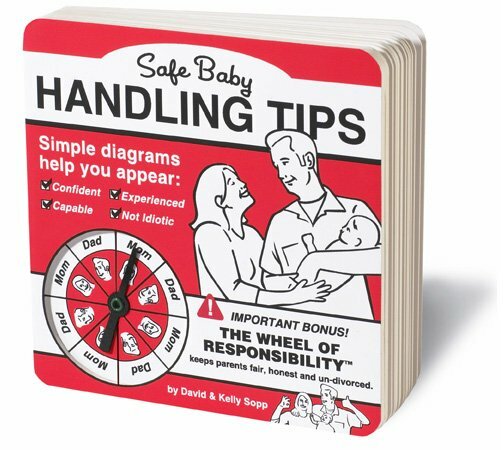 The book below (Safe Baby Handling Tips) was given to us by family friends at our shower... It is a good and amusing read.